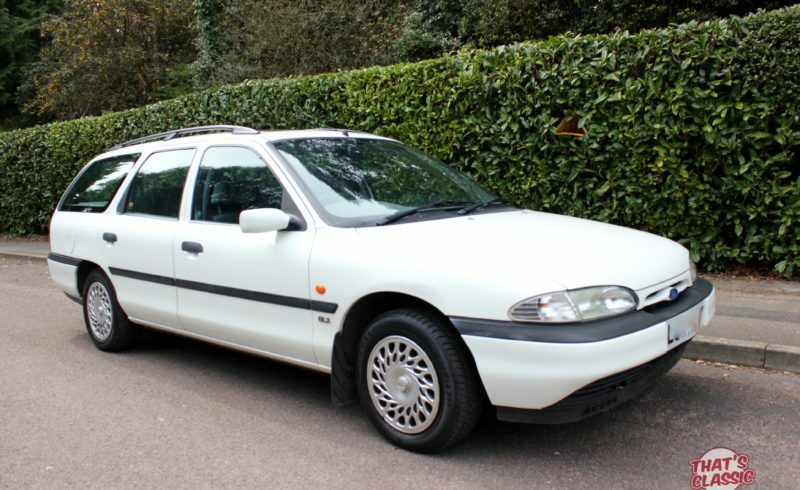 Time warp condition MK1 Mondeo estate!! Immaculate interior, looking like the rear seats have never been used!! There has been a boot matt in the car since new, so the carpet in the boot looks like it did when it came out of the show room. The body is very good with no rust showing whatsoever! There are a couple of prangs around the car though. Wouldn’t take much to make this a perfect pristine example. The condition of the car speaks for its self but it does have some service history to back up mileage. Surely a future classic!! With this low mileage and low owner’s it must be the best available! !